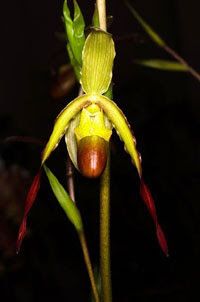 Our orchid special for this newsletter is Phragmepedium Sorcerer's Apprentice. Phrags are easy to grow and can handle a bite more sun and heat than their cousins paphiopedilums. They hold their flowers for many months and bloom from new growth each year. Our Phrag. Sorcerer's Apprentice are very full stocky plants that are growing in our 4.5" x 3.5" hydro kits and are in tight spike. Regular price for these plants is $54.00. 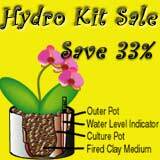 We have them on sale while our supply lasts for $42.00 plus postage.